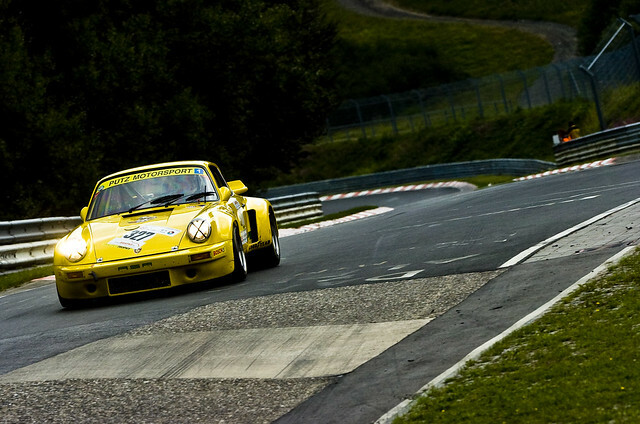 Axis Of Oversteer: You like old Porsches? How about old RSR's on a slightly damp track? I have to say though, Putz Motorsports would not cut it in New York City. I definitely love the sound of these fabulous cars !! Absolutely superb sound... and superb driving skills - especially when you consider how damp the track is. Really great stuff!!! Never seen a car drive around the outside of the carousel before, didn't lose much time... I would have thought it would be super slippery.